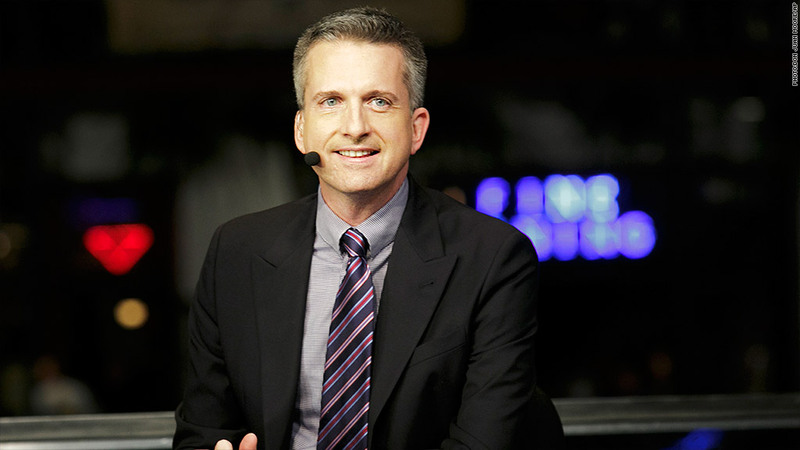 On Wednesday night, ESPN suspended columnist Bill Simmons for three weeks regarding comments he made concerning NFL Commissioner Roger Goodell. Many on Twitter did not agree with the decision. 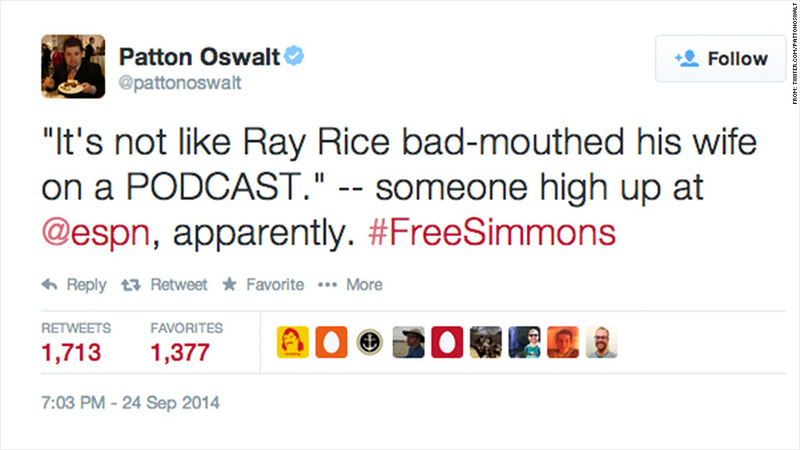 Fans of the writer and host tweeted in droves, helping make the #FreeSimmons hashtag the top trending topic in the United States. It was still a top-trending hashtag early Thursday. "Wow, I guess someone actually CAN get swiftly and harshly punished for a recording that reflects poorly on the NFL #FREESIMMONS," tweeted Time Magazine's columnist James Poniewozik. 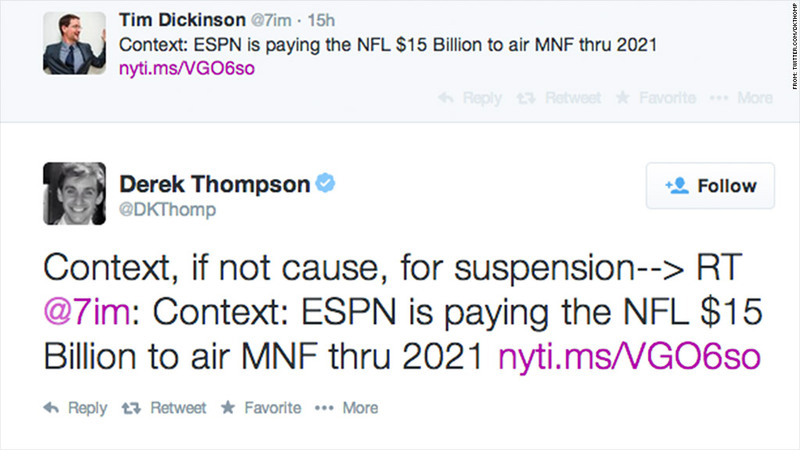 ESPN faces a conundrum: It cover NFL news while also having a $15.2 billion broadcasting contract with the league. 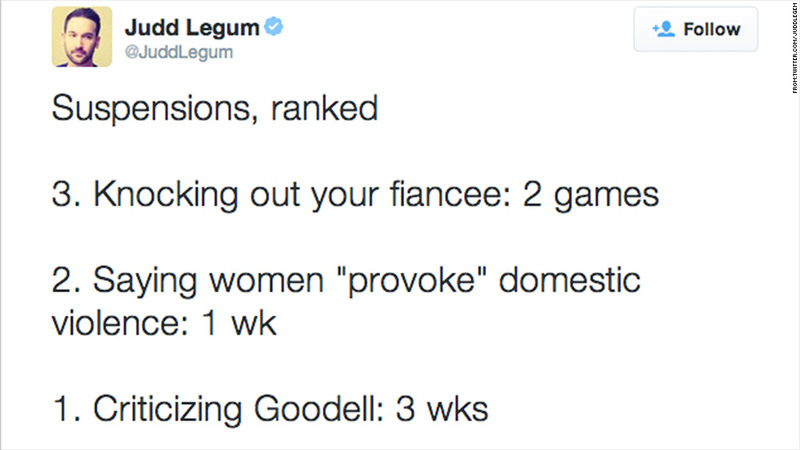 Yet, ESPN has said it has a "church and state" approach to such issues. 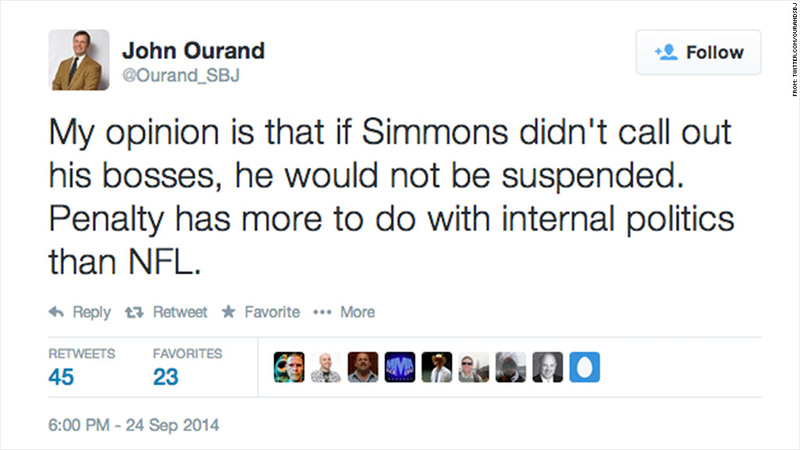 Simmons supporters on Twitter didn't agree. 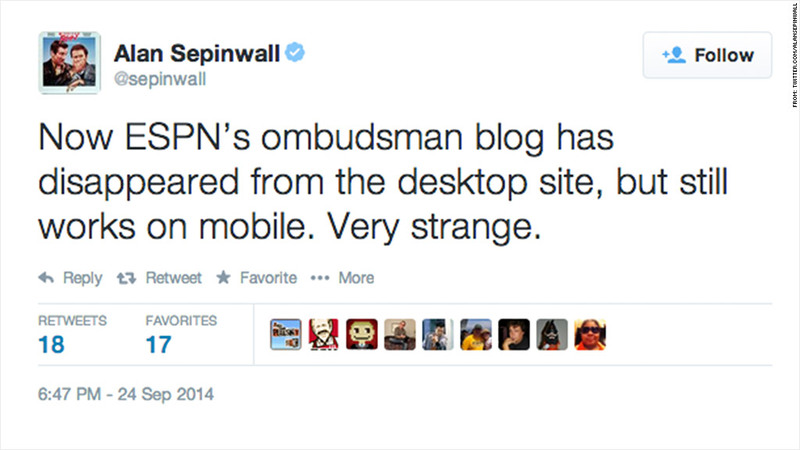 Twitter was also abuzz Wednesday night with curiosity regarding the mysterious disappearance of ESPN's ombudsman blog. The site would later restore the blog and blame a "tech issue" for the missing link. As for the Worldwide Leader in Sports, the network has stayed pretty quiet regarding Simmons.